As an undergraduate student, I have had the opportunity to become very involved on campus. I am currently the Second Lieutenant of RPI Ambulance, which provides emergency medical care to those on campus and in the surrounding communities. In line with my strong belief of service towards others, I am a member of the Army ROTC program. 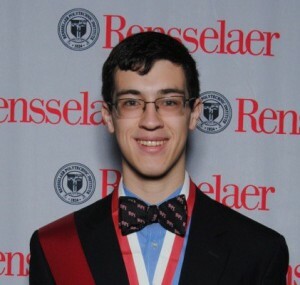 I am also involved with student government as a member of the Judicial Board, and the vice-chair of the Senate’s Student Life Committee, which focuses on improving student quality of life at RPI.